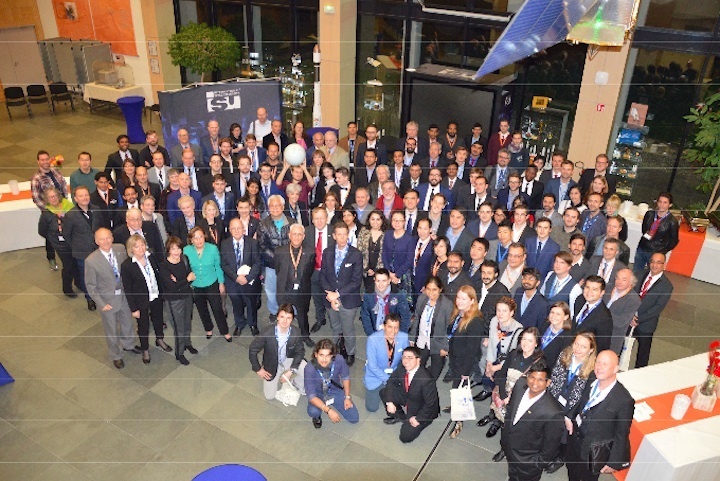 Strasbourg, France: This week, more than 150 experts, engineers, educators and students from around the world gathered in Strasbourg, France to participate in the first International Moon Village Workshop. The Workshop was jointly organized by the recently-formed Moon Village Association (MVA) and the International Space University (ISU), and was held at the permanent campus of the ISU. The products of the two-day Workshop comprised some two-dozen Moon- focused presentations, as well as the results of eighteen working sessions during which participants discussed topics ranging from the technical framework of the Moon Village concept, prospective government missions and commercial markets for the Moon (including cis-lunar space), future coordination and cooperation vis-à-vis the Moon Village, and the ways in which human culture will influence choices and later be impacted by the expansion of humanity to the Moon. The consensus of the participants is the Moon Village concept has immense potential to focus and communicate broadly an emerging focus on the lunar exploration and development and activities throughout cis-lunar space (i.e., outer space in the vicinity of Earth and the Moon). 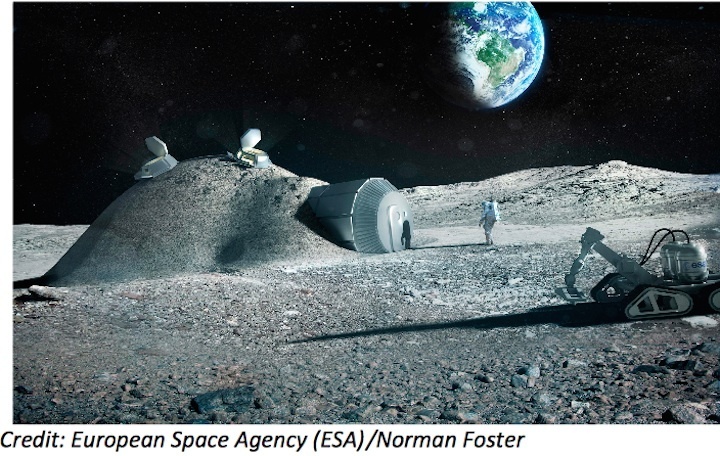 The Moon Village is not a single location nor a traditional space project, but is rather a broadly defined conceptual framework encompassing a diverse suite of planned and potential future human activities in space. Beginning now, and continuing into future decades the Moon Village represents a community comprising a wide range of future missions and emerging markets, including scientific research, commercial ventures, profound cultural developments and more. This landmark event attracted policy makers, technologists and scientists from diverse space agencies, engineers and planners from major industry players, entrepreneurs from start-up companies and investors, and more than four-dozen faculty and students from diverse universities. A visionary keynote was presented, in the presence of Eurometropole Strasbourg Vice-President C. Trautmann, by European Space Agency (ESA) Director General Dr. Johann- Dietrich Wörner, followed by presentations on lunar-related activities and plans from diverse global space leaders including Tom Cremins (NASA Associate Administrator for Strategy and Plans), Shizuo Yamamato (VP International Relations, JAXA), Silvio Sandrone (Airbus Defense and Space), Michel Tognini (President, Association of Space Explorers Europe), and Dave Murrow (Senior Manager Business Development, Commercial Civil Space from Lockheed Martin). The organization of the event was accomplished by a diverse international team, led by Dr. Giuseppe Reibaldi (President of the Moon Village Association), Dr. Christopher Welch (Professor at the International Space University), and John C. Mankins and Max Grimard (of the MVA). “As of this week, the implementation of the Moon Village has truly started,” Dr. Reibaldi observed at the close of the Workshop. The diverse gathering of Moon Village visionaries included participants from more than one dozen countries, including (in alphabetical order): Austria, Canada, China, England, France, Germany, Italy, Japan, Luxenberg, Russia, South Korea, Sweden, Ukraine, and the United States. Participating organizations included Airbus, Association of Space Explorers (Europe), Beijing University, ESA, European Space Science Committee, For All Moonkind, Luxemburg Office of the Director for Space Affairs, International Space Exploration Research Institute, Ispace Europe, International Lunar Observatory Association, ISU, JAXA, Lockheed Martin, Lunar Station, Mankins Space Technology, MVA, NASA, PISCES (Pacific International Space Center for Exploration Systems), PTScientists, Pulispace, RUDN University, Spacebit, Team Indus, Yuzhnoye Design Office, and others. At the end of the session, Buzz Aldrin, ISU Chancellor, addressed the participants by a surprise teleconference call explaining his vision of a future near-lunar concept. “ISU has again proven to be an excellent open platform for discussions on such interdisciplinary topic, with very valuable inputs from alumni and the MSS participants” stated Dr. W. Peeters, President of ISU, based upon the feedback received from the aforementioned professionals. The results of the Workshop will be forthcoming early next year, and will be presented at upcoming international gatherings and technical symposia. Future events are now being planned, and the 2nd International Workshop will occur in 2018 (location still to be decided). Moon Village Association (MVA). The MVA is a recently formed non-profit organization chartered in Vienna, Austria and comprising approximately 100 members from numerous countries around the globe, representing a diverse array of technical, scientific, cultural and interdisciplinary fields. The MVA partners with non-space organizations to promote international discussion and formulation of plans to foster the implementation of a Moon Village, and is creating networks (international/national/regional) to engage civil society around the world. The Association works with other space and non-space organizations (commercial, non-profit, government, and others) to organize dedicated Moon Village and related events and makes the results available via traditional and emerging means. For information on how to become involved in realizing the Moon Village for the future of humanity, visit: https://www.moonvillageassociation.org/. International Space University (ISU). ISU is a private non-profit institution, formally recognized as an institute of higher education in France by the French Ministry of Education). ISU is also recognized as a full member of EURASHE and is in the process of adapting its programs to the Standards and guidelines for quality assurance in the European Higher Education Area (ESG). The International Space University specializes in providing graduate-level training to the future leaders of the emerging global space community at its Central Campus in Strasbourg, France, and at locations around the world. In its two-month Space Studies Program and one-year Masters program, ISU offers students a unique Core Curriculum covering all disciplines related to space programs and enterprises, space science, space engineering, systems engineering, space policy and law, business and management, and space and society. Since its founding, 30 years ago, more than 4400 students from over 100 countries graduated from ISU. See: http://www.isunet.edu.